Australia’s prison population is growing at unprecedented rates. In some states Indigenous prisoners far outnumber their non-Indigenous counterparts. Last year in the Northern Territory, 86% of those in prison and 96% of those in juvenile detention were Indigenous. In Western Australia, Indigenous people account for only 3% of the population, but 40% of prisoners. It is unacceptable to ignore the intellectual capacity of a person facing the court and it’s vital to ensure that youth put behind bars have been properly assessed before sentencing. This is particularly important for Australians affected by fetal alcohol spectrum disorders (FASD). These occur throughout society and in high levels in some Indigenous communities. The capacity to screen for prenatal alcohol exposure – as well as to diagnose FASD – must urgently be increased. This echoes recent calls by Perth Children’s Court magistrate Catherine Crawford for clinicians to assess children and youth before sentencing, so the court understands their cognitive limitations. Fetal alcohol spectrum disorders are a group of preventable conditions resulting from exposure to alcohol in the womb. Alcohol readily crosses the mother’s placenta, entering the circulation of the developing fetus with devastating effects. Significantly, it can disrupt brain development and that of other organs, causing lifelong problems. These include developmental delay, intellectual and memory impairment, as well as a range of behavioural, emotional and mental health disorders. People with FASD can suffer from attention-deficit hyperactivity disorders (ADHD), communication disorders, poor impulse control, disobedience and hostility issues, and learning difficulties. They often struggle to distinguish right from wrong and fail to learn from mistakes. Few with FASD will live and work independently. Many have mental health and substance misuse problems. It is no surprise that many also come in contact with the law. 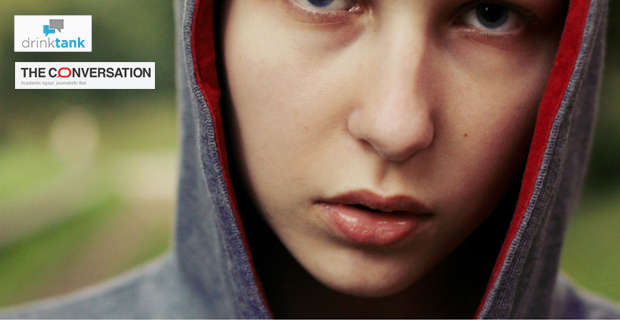 An adolescent living with a FASD in Canada or the United States, for instance, is estimated to have a 19 times higher risk of incarceration than someone without a FASD. Despite this, the condition remains poorly recognised and few obtain a diagnosis prior to offending. Offenders with FASD are often poor witnesses and fail to understand why they have been detained. Unable to negotiate the justice system, they are adversely influenced by others and often enter a cycle of re-offending. Rosie Fulton, a 21-year-old Aboriginal woman with FASD and significant intellectual impairment, was arrested last year after stealing and crashing a car. Declared unfit to stand trial, Rosie was sent to Western Australia’s Kalgoorlie Prison for lack of alternative accommodation. She stayed in jail for 21 months with no trial or conviction. Only after her story broke, mounting pressure on the health ministers of Western Australia and the Northern Territory led to Rosie being transferred to supervised community accommodation close to her family in Alice Springs. In Australia, we don’t know how many people deemed “unfit to plead” are in prison and how many have cognitive impairment, as we lack recent data regarding rates of FASD in prisons. US studies suggest up to 60% of young people with FASD will at some time enter the juvenile justice system. Another study, conducted in a forensic mental health facility in Canada, showed 23% of resident youth had one type of FASD. This figure may be higher in vulnerable Australian populations, particularly in some remote regions where alcohol use in pregnancy is prevalent. The economic impact of incarcerating people with FASD is huge. In Canada, the direct cost to the correctional system between 2011 and 2012 was CAD$17.5 million for youth and CAD$356.2 million for adults. Diagnosing FASD is a challenge because as children get older, a firm history of prenatal alcohol exposure may be elusive. With age, the characteristic facial features (small eye openings, a thin upper lip and flat philtrum, the area between the upper lip and base of the nose) of fetal alcohol syndrome – a subset of FASD – diminish, and growth deficits correct. Thorough assessment by a physician, a psychologist and, if necessary, allied health professionals, can identify impairments required for a FASD diagnosis, whether fetal alcohol syndrome or a neuro-developmental disorder associated with prenatal alcohol exposure. Such impairments can be in IQ, communication, memory, motor and executive function, and other areas. In Canada, youth probation officers are using a tool for screening young offenders for FASD, and identifying the need for referral and assessment. Another tool for health professionals with accompanying guidelines for assessing and diagnosing people with FASD is being developed in Australia. This will standardise the diagnostic approach. Tools such as these are necessary to increase screening and diagnostic capacity in the justice and health systems. If a diagnosis is known, the associated behavioural and cognitive deficits can be taken into account when considering the reliability of evidence given by an offender, the supervision required in detention, and the sentence. There has been a call for better legal support for people with vulnerabilities in their journey through the criminal justice system. Consideration should be given to the defence of diminished responsibility in conditions such as FASD. And alternative models of care need to be found to avoid imprisonment of those unable to plead. As identified in the case of Rosie Fulton, this poses a significant challenge, particularly in remote Australia where alternative accommodation is not readily available and would be costly to establish. But prison is far more costly. In Canada, the justice system accounts for 40% of the total costs of FASD (including health and education). And Australia’s Senate inquiry on justice reinvestment heard that the estimated cost of detaining a juvenile offender in New South Wales in 2010–11 was much higher ($A652 per day) than the cost of supervision in the community ($A16.73 per day). To end the cycle of re-offending, we urgently need evidence-based strategies to ensure offenders with FASD are recognised early and receive the care they deserve. This post originally appeared on The Conversation as ‘Young offenders must be screened for fetal alcohol spectrum disorders before sentencing’ on 13 October 2015. Today, while many are largely still in the mindset clean slates, healthy choices, and new beginnings in the name of new year’s resolutions, we make the case for kicking the booze to kick-start your health.